CARFAX One-Owner. 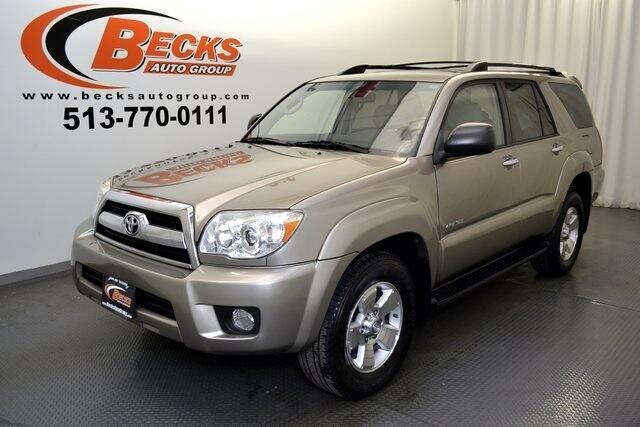 2006 Toyota 4Runner SR5 Tan 4WD 5-Speed Automatic with Overdrive 4.0L V6 SMPI DOHC 4WD, Tan Cloth, ABS brakes, Alloy wheels, Electronic Stability Control, Illuminated entry, Low tire pressure warning, Remote keyless entry, Traction control. Odometer is 30102 miles below market average!